Premium-PLUS White hand towels 16x28 full terry towels, no borders running through these towels. Popular with Salons, Gyms/workout use, these hand towels are made of 100% supreme cotton extra soft and highly absorbent. Used by high end salons and spas. No border running through these hand towels, full terry side to side. Optical white and extra extra soft excellent to use in high-end business, 100% supreme cotton. Used in hair salons, nail salons, tanning salons, gyms etc. 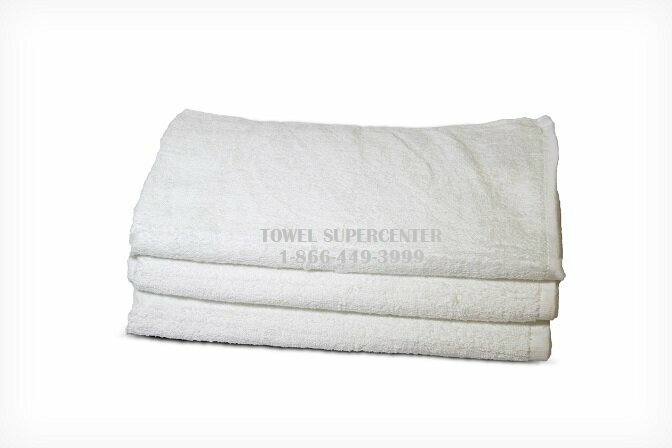 When only the best will do for your home or business, choose premium plus white hand towels from Towel Super Center. These 16x26, 100% cotton towels are designed to look great while providing a soft and fluffy feel. They are highly absorbent and are ideal for any gym, spa, salon, health club, restaurant or other business. Our customers also love them for their homes. If you own an exclusive business, you want your guests to enjoy a touch of luxury, and that is exactly what these cotton white hand towels deliver. With a bright white color, they can be bleached and washed many times while staying luxuriously soft. You can also have these towels embroidered or monogrammed for an exclusive look. At Towel Super Center, we believe you should be able to buy quality towels for your high-end business without spending a fortune. Our products have made us one of the leading wholesale linen supplies online. Businesses choose us for our wide selection of economy and premium products, our great prices and our exceptional customer service. If you have a salon, hotel, spa or other exclusive business, you need quality towels in larger quantities. Nothing makes guests and clients feel as pampered as calming settings with stacks or rolls of fluffy towels. Having plenty of towels on hand means you and your guests can always reach for an extra towel when needed. Our premium white towels complement any décor in your place of business or your home. Alone, their bright white color suggests luxury and freshness. Or, you can combine these towels with towels in other shades for a fashion-forward look. Towel Super Center has a wide selection of sizes, colors, and types of linens, so you can customize the appearance you want. At Towel Super Center, we understand you’re busy running your business. We make online ordering simple, and we offer delivery right to your door — you always have the linens you need and save time in the process. There is also no minimum order with us, and we can handle large orders. Best of all, we offer affordable wholesale prices on all orders, no matter the size, with additional discounts possible on very large orders. Order your towels today!